Hockey pro, Tony Esposito, was born April 23, 1943 in Sault Ste. Marie, Ontario. 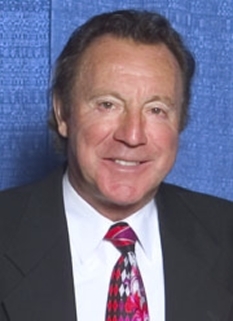 Tony Esposito is a former goaltender, who played in the NHL, most notably for the Chicago Black Hawks. He was one of the pioneers of the now popular butterfly style. Tony Esposito is the younger brother of Phil Esposito, who also played for Team Canada during the Summit Series of 1972. Tony Esposito turned pro with Vancouver in the Western Hockey League in 1967–68 and played with the Houston Apollos in the Central League in 1968–69. Tony Esposito first played in the NHL for the Montreal Canadiens during the 1968–69 season. 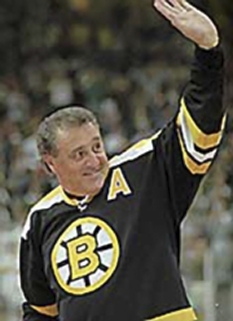 A famous game against the Boston Bruins, led by his brother Phil Esposito, ended in a 2–2 tie, in which Phil scored both goals for Boston. Espostio played 13 games regular season games, due to both Gump Worsley and Rogie Vachon being injuried. However, Esposito returned to the minors when they both returned from their injuries. Worsley was injuried again during the playoffs, so Esposito was called again. Tony Esposito served as backup to Vachon dressing for all 4 games in the finals. Tony name was added to the Stanley Cup with the Montreal Canadiens. The Canadiens club was very deep in goaltenders at that time, with Gump Worsley, Rogie Vachon and others in the system. As a result, Esposito was left unprotected by the Canadiens in 1969. For 1969–70, the Chicago Black Hawks (the team name during Esposito's playing days) claimed him from Montreal on waivers, known at the time as the "intra-league draft". Esposito had a spectacular season with Chicago, posting a 2.17 GAA and setting a modern day NHL record with 15 shutouts. Having not played enough games with Montreal, he was still eligible for, and won the Calder Trophy as the league's best rookie. He also took the Vezina Trophy and was named to the First All-Star team at season's end. He also balloted second for league MVP (Hart Trophy). It was during this record setting season he earned the nickname Tony 'O'. In 1970–71, he again proved to be one of the league's top goalies and helped Chicago finish first in the NHL's West division. The Black Hawks made it to the Stanley Cup finals, but lost in 7 games to Montreal. The following season he posted the lowest GAA of his career (1.77) and shared the Vezina with backup Gary Smith. He was again selected to the NHL's 1st All-Star team. Tony Esposito was named to Team Canada for the Summit Series of September, 1972. He was the first goalie to earn a win against the Soviets, splitting Canada's goaltending duties with Montreal's Ken Dryden. Esposito posted the lowest GAA of the three goalies who appeared in the series. Despite the loss of Bobby Hull, Esposito and the Hawks led their division in 1972–73, but lost the Stanley Cup in 6 games to Montreal. 1973–74 was another brilliant season with a sparkling 2.04 GAA and 10 shutouts. Esposito won his 3rd Vezina, sharing it with Philadelphia's Bernie Parent. The Black Hawks declined the next few seasons although Esposito remained among the top netminders in the NHL. In 1979–80, Tony Esposito enjoyed a fine season with 6 shutouts and his third 1st All-Star team selection. 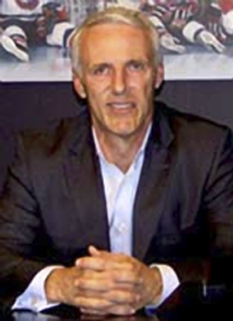 In 1981 he adopted an American citizenship and played for Team USA in the Canada Cup (he had previously represented Canada at the 1977 Ice Hockey World Championship tournament). 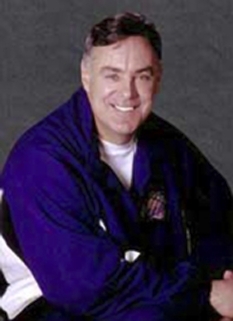 He played a few more seasons in the Windy city, retiring after the 1983–84 season. Tony Esposito retired from professional play in 1985 and was named to the Hockey Hall of Fame in 1988. His number 35 was retired by the Blackhawks. Tony Esposito later became General Manager of the Pittsburgh Penguins rather briefly, where he hired former Black Hawks teammate Gene Ubriaco as head coach, until they were both terminated. In 1991, when his brother helped found the Tampa Bay Lightning, Phil hired Tony as chief scout. Legend has it that they came up with the team name during a thunderstorm. Both Espositos were fired in 1998. 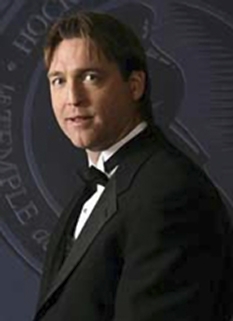 In 1998, he was ranked number 79 on The Hockey News' list of the 100 Greatest Hockey Players. 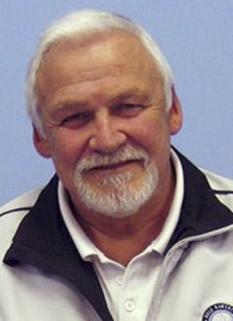 In 2007, Tony was inducted (alongside brother Phil) into the Sault Ste Marie Walk of Fame. DISCLAIMER: PFP Sports Talent Agency does not claim to represent itself as the exclusive agent for Tony Esposito. PFP Sports Talent Agency is a booking agency that represents organizations seeking to hire pro athletes and sports personalities such as Tony Esposito for speaking engagements, personal appearances, product endorsements and corporate entertainment. Fees on this website are estimates and are intended only as a guideline. Exact fees are determined by a number of factors, including the location of event, the talent’s schedule, requested duties and supply and demand. PFP Sports Talent Agency makes no guarantees to the accuracy of information found on this website and does not warrant that any information or representations contained on this website will be accurate or free from errors. We are often asked how can I find out who is Tony Esposito's agent? To find Tony Esposito appearance fees and booking agent details, you can contact the agent, representative or manager through PFP Sports Talent Agency for speaking fee costs and availability. PFP Sports Talent Agency can help your company choose the ideal sports personality for your next marketing campaign. To hire Tony Esposito for an appearance, speaking event or endorsement, contact Tony Esposito's booking agent for more information.